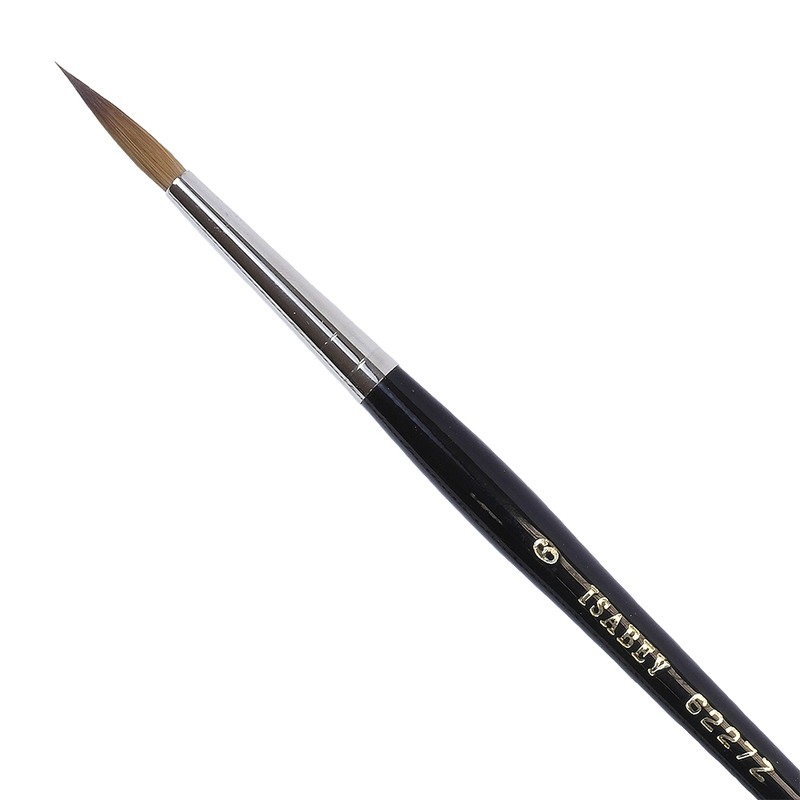 Isabey Pure Kolinsky Sable Brushes boast exceptional spring, with a large reservoir which holds lots of paint, releasing it on to the painting surface slowly for extra precision and control. Isabey's Series 6227z Pure Kolinsky Sable Rounds are crafted with the most luxurious hair available. The brush hair is seated deep into the nickel ferrule for maximum spring, snap and control. 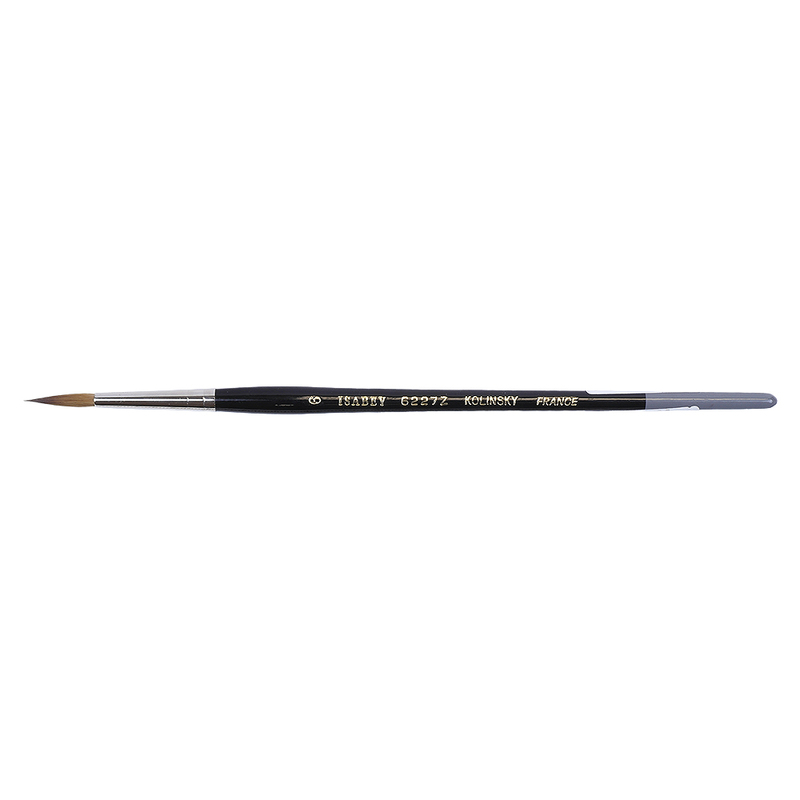 The black lacquered, grey tipped handles are made "Albata" style, meaning the length is slightly longer and handle is slightly wider towards the brush. 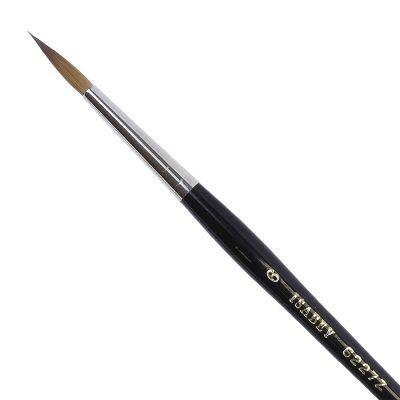 The Isabey Series 6227Z watercolor paint brush is an exquisite, top of the line, Kolinsky Sable brush! These artist's paint brushes are excellent for detail work. 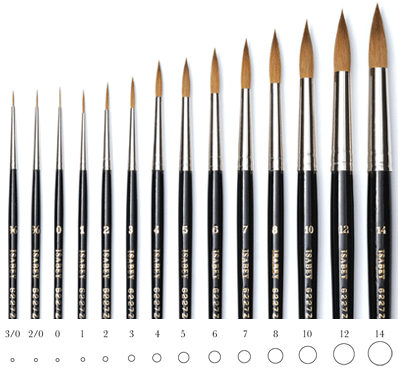 Click on the 'Information' tab above to see further details about the length and diameter of these brushes.